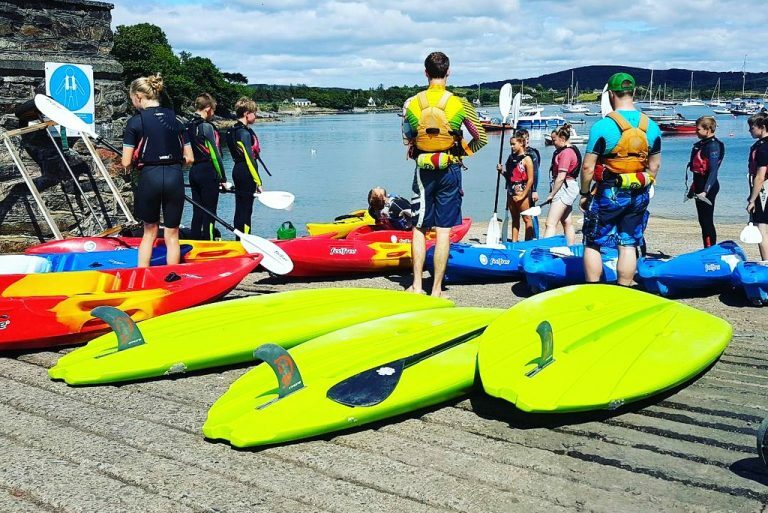 The team at Kinsale Surf Adventures love hosting school trips and student groups on outdoors adventures in Ireland! We pride ourselves on providing a fun & educational learning experience for all students who participate in our school excursions. Our hope is to educate and foster a love and appreciation for the ocean and nature. To enhance self-confidence, self esteem and connect our kids to strong community role models. We teach fun, sustainable water recreational adventure activities and the importance of conserving our waterways & the environment. Our Kinsale location is only 30 minutes from Cork City and located along the Wild Atlantic Way. This is an excellent location for adventure holidays in Ireland, with the best natural classroom in the world. Students can experience action-packed adventure activities and lots of exercise through outdoors-based learning. Our qualified staff will keep them active, engaged and enthusiastic about learning in a safe, supervised environment. We can design a session for any school trips and student groups including any of the following activities. We provide all equipment + male & female changing facilities. We work around school budgets so please contact us for a quote.